Hello, this might be a big post so brace yourselves. So the task i’ve got is to create something using stuff like after effects and importing some CGI over the top and composite them together. The first one was going to be some sort of flooding or tidal wave hitting a building and i’ve got a main character trying to escape. I would of used real flow and done some motion tracking. Now what i didnt relise untill the other day, we’re not allowed to film. So im thinking of scrapping that idea. 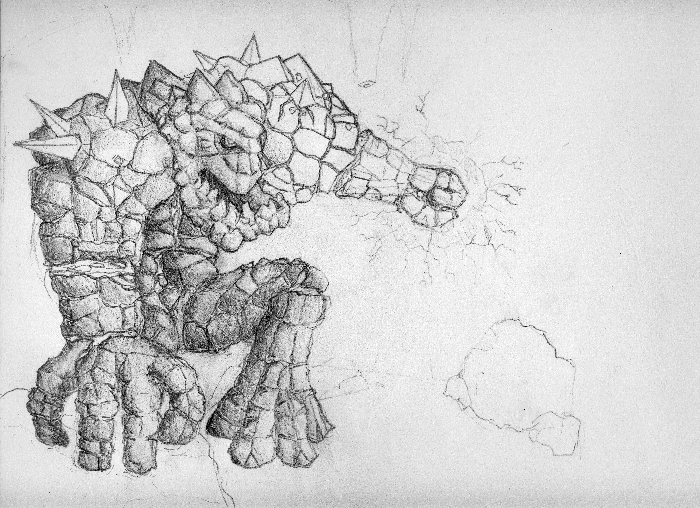 The Second Idea i had is ridiculous… and yeah it also involves filming or simply a lot of animation, last year i made a drawing of a sortov rock elemental giant that lives in a cave/lair. 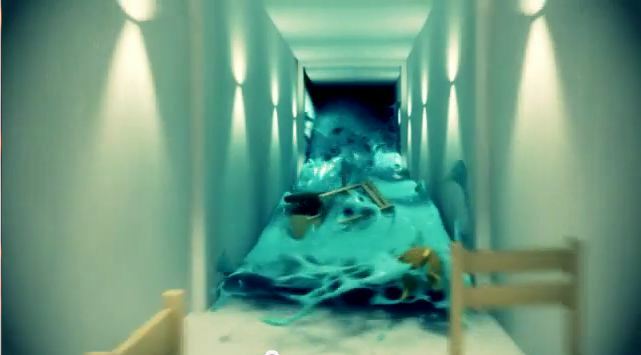 I was thinking of recreating this scene with some destruction physics like using the plugin Rayfire for 3DsMax. But also the idea of this would involve some sort of narrative or it could even be a short clip from a film. Im thinking lord of the rings style scene. The Third Idea i had was to Film my sister and her friends doing some sort of circus skills, as they are very good at that sort of thing. My inspiration came from dubstep guns (a corridor digital production on youtube) i was thinking of using trapcode particular or something similar to have a very vibrant colourfull film. 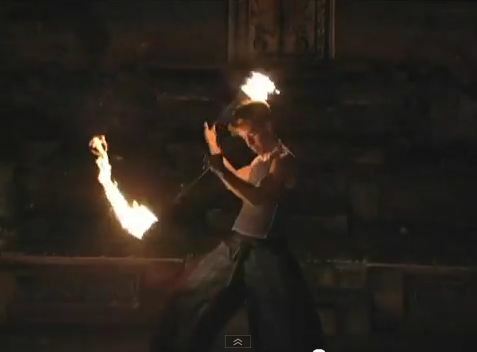 The plan was to have the performers doing insane skills with juggling balls, hoola hoops, poi etc. 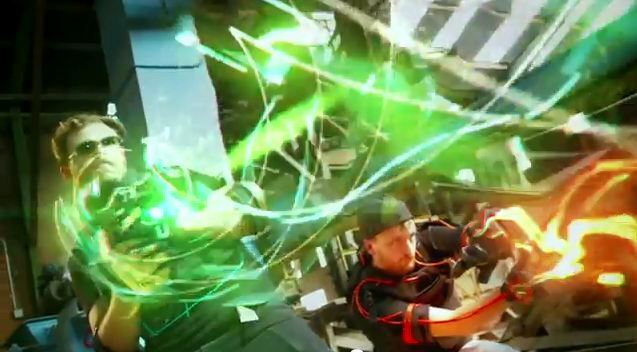 and then compositing particle effects over the top of the props they use to get amazing ribbons of light. I would of also used Rayfire so perhaps they can be using Poi balls to smash through walls and shatter things to bits. This could of also had some sort of simple narative like they are dueling with magic or something. I was really looking forward to this idea as it would benefit my sister but also sounds cool. So im a bit stuck here, no video, just pictures. Hmmm, i could perhaps take pictures of the performers and they could do there thing, then animate them but it seems like that would be very hard. it would be cool and very stylized but it wasnt really what im into. Well i’ve got a new idea now, but it doesnt really make much sense. I want to make a Jet fighter in 3D and animate it going through complex patterns in a trippy universe, its simple but its not gonna be a piece of cake. Im not sure if just being creative without narrative stucture is a good idea, i want to make an impact on the audience somehow. If i do decide to do something like this it’ll probably combine every plugin i wanted to use in the first place, Realflow/Rayfire/Trapcode Particular/Vray.